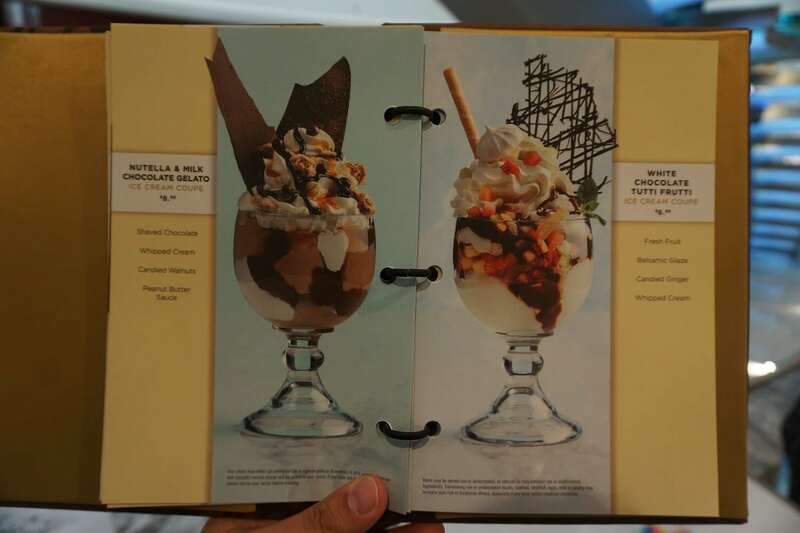 We are back from a trip on Norwegian Cruise Line’s newest ship, Norwegian Bliss, and have all of the restaurant menus to share. 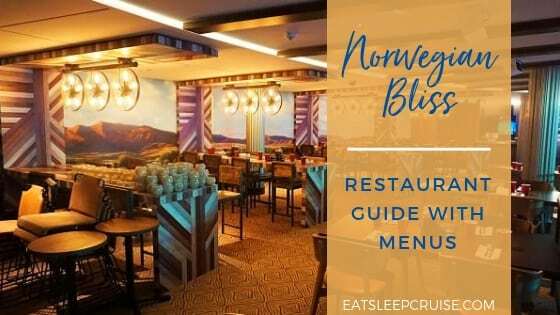 Feel free to share these Norwegian Bliss Restaurant Menus and Guide on social media; we just ask that you credit EatSleepCruise as the source when posting the menus elsewhere. 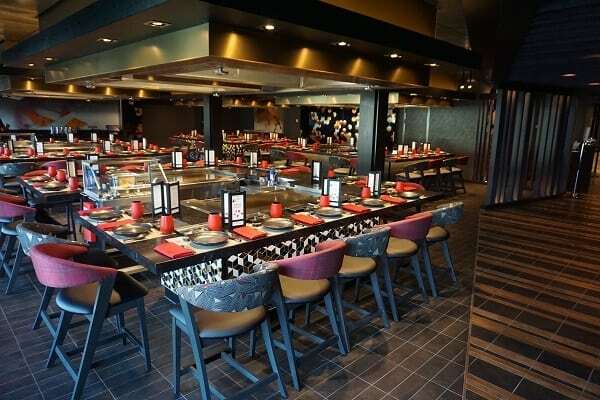 This Japanese-style hibachi steakhouse is a specialty restaurant that offers a multi-course menu with a flat fee price of $29.95 (+20% service charge). Entree selections range from chicken, steak, and shrimp, with all meals including soup, salad, fried rice, grilled vegetables, and dessert. 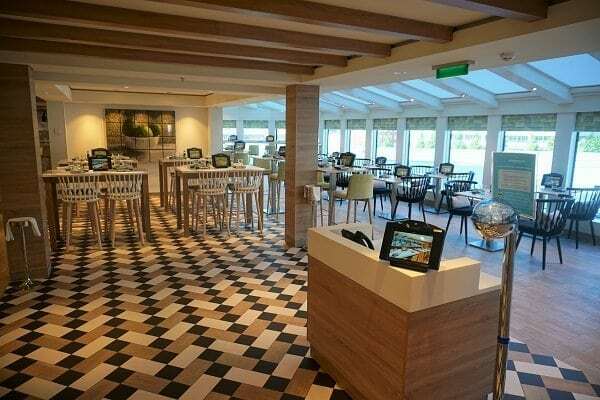 This is a staple Norwegian Cruise Line restaurant. Whenever we have dined at Teppanyaki, the food was as good as the culinary show! 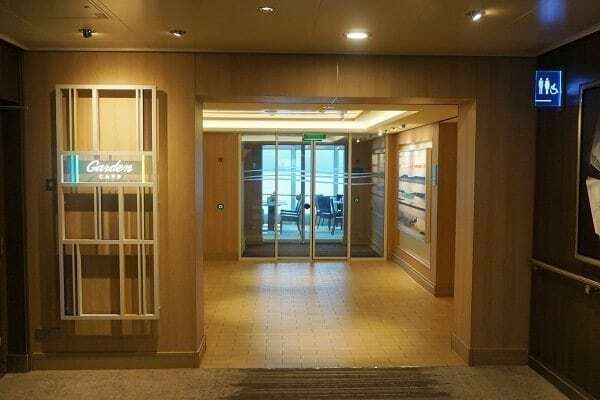 Norwegian Cruise Line’s first Starbucks at sea is right at home in the ship’s homeport of Seattle, WA. The menu is what you would expect to find at the coffee house on land, serving lattes, espressos, drip coffee, and even other pastries and snacks. 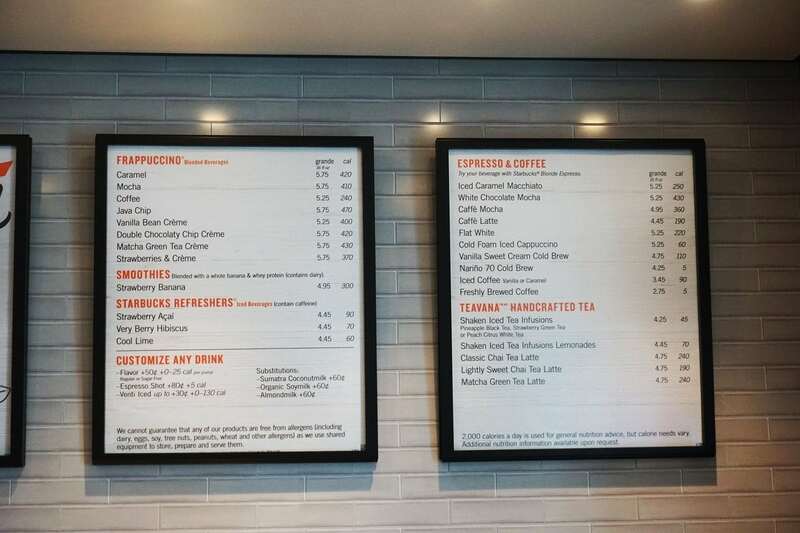 Unfortunately, none of the beverages are covered in the Ultimate Beverage Package, and all of the food is an up-charge with advertised a la carte pricing. 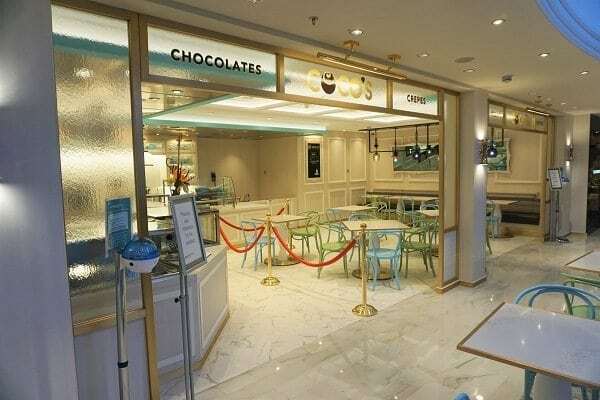 Chocolate lovers have a new place to indulge in all things sweet on Norwegian Bliss. 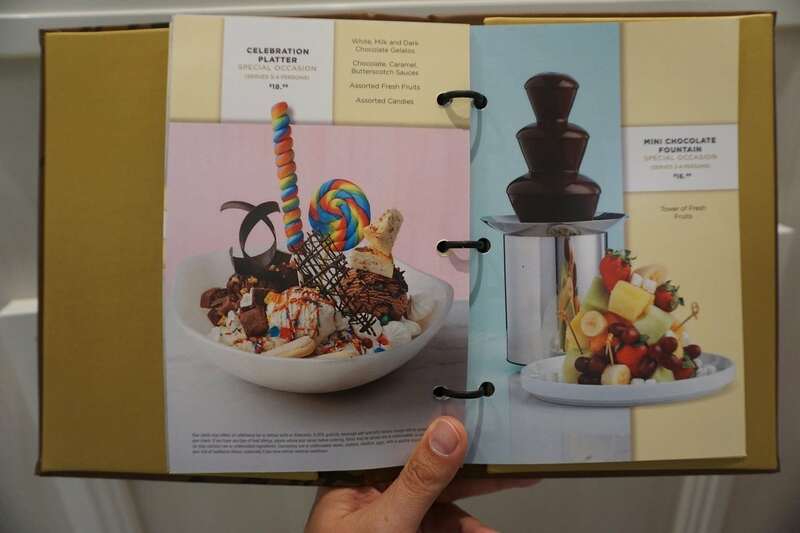 At Coco’s, your confectionery favorites come in all varieties including bonbons, crepes, outrageous milkshakes and sundaes, and even a chocolate fondue fountain. You may have to show some self-restraint because you could simply lose yourself in these sweet surroundings. Coco’s a la carte menu is an up-charge, and the restaurant is open most days until late. What goes better with some southern style brisket or baby-back ribs? How about some live country music. 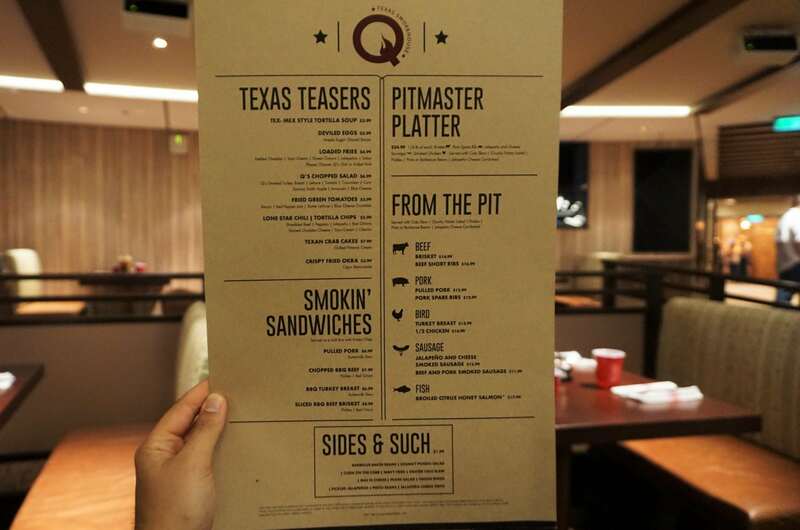 At Norwegian Cruise Line’s newest dining concept, Q Texas Smokehouse, you can enjoy down-home comfort food, then join the hoedown afterwards with some good ole’ country tunes and dancing. This specialty restaurant is part of the Specialty Dining Package and offers a la carte prices. 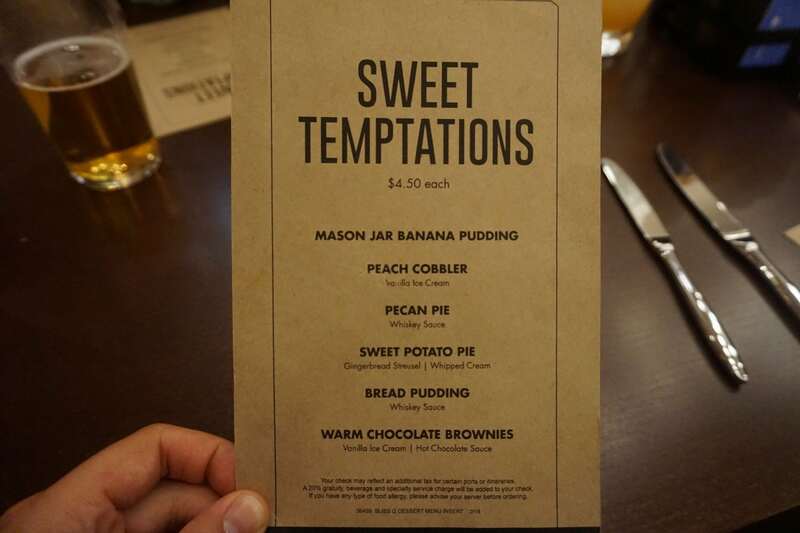 With savory selections like smoked beef brisket, pork spareribs, mac and cheese, and banana pudding, the costs are certainly worth it. 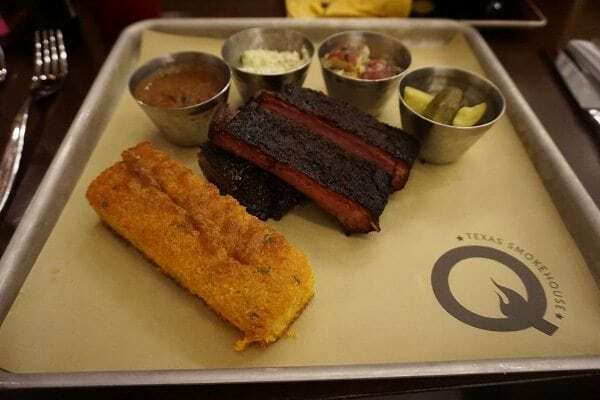 See our Q Texas Smokehouse dining review to learn more about this new restaurant. 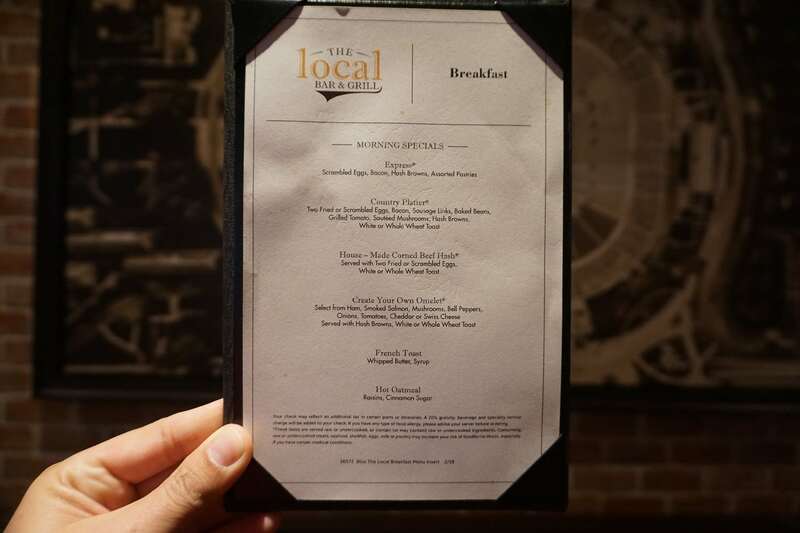 If you are looking for a relaxed, casual spot for breakfast, lunch, or dinner, the Local Bar and Grill is your table service destination. 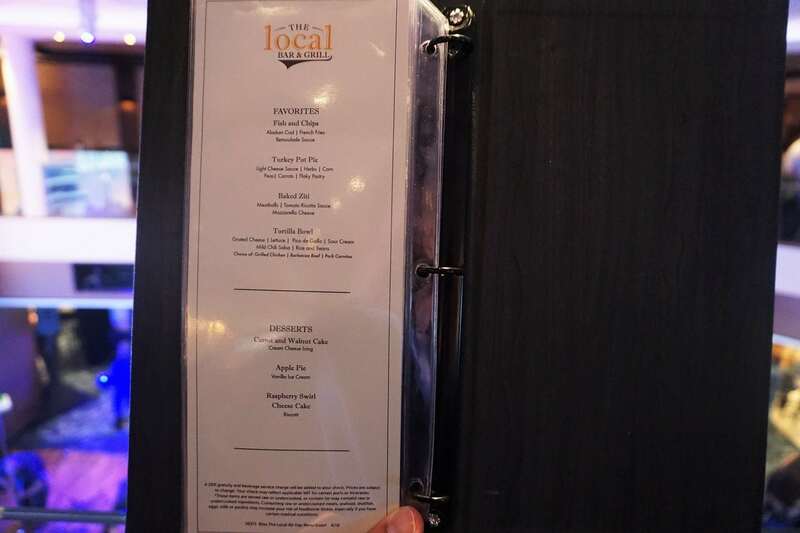 This complimentary venue is an updated take on the brand’s popular O’Sheehan’s Pub, with a menu that showcases similar offerings like the Fish and Chips and Chicago Style Hot Dog, with some new additions like the Tortilla Bowl. The venue is open 24 hours a day serving up slightly different menus depending on what time of day you choose to dine. 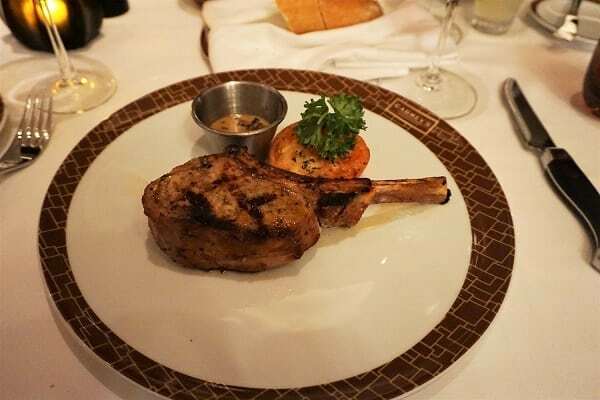 Norwegian Cruise Line’s signature steakhouse is a carnivore’s go-to specialty dining restaurant. 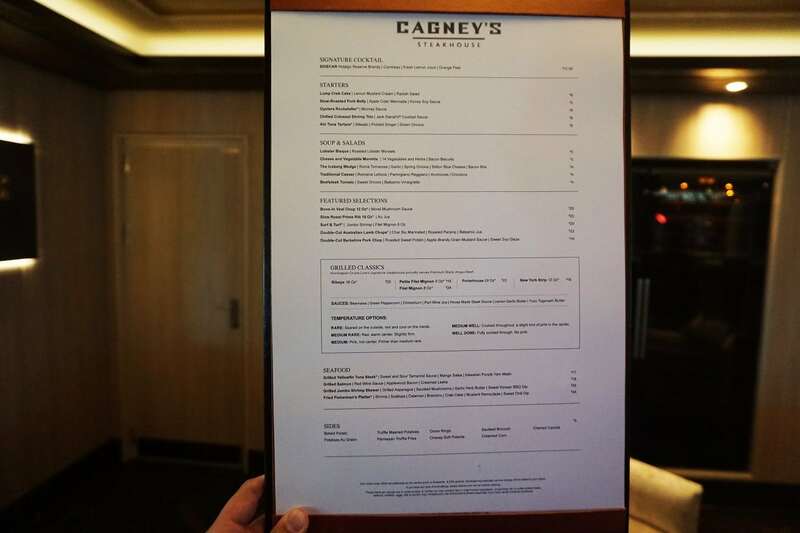 Part of the Specialty Dining plan (or you can choose to pay a la carte), Cagney’s offers both al fresco seating on the Waterfront and indoor accommodations. 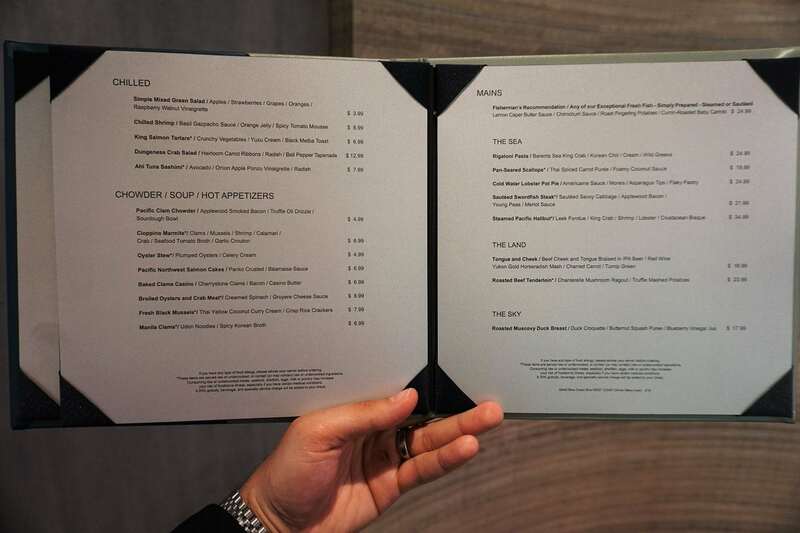 Menu items like the perfectly seared filet, veal chop, or jumbo shrimp cocktail are paired with a wide selection of sides and desserts. We have never left this venue hungry, and we doubt you will either. If you like petite pastries or perhaps a scoop of smooth Italian-style ice cream, then you might stop in at the Bake Shop during one of your afternoon strolls along the Waterfront. 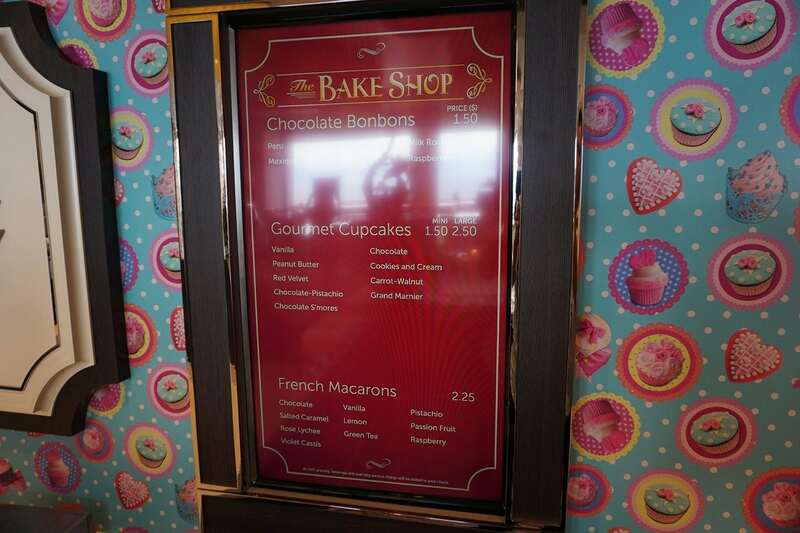 This ocean-side venue on Norwegian Bliss is the perfect place to take a midday break with the family and indulge in a treat. After all, you are on vacation. These items are priced a la carte. 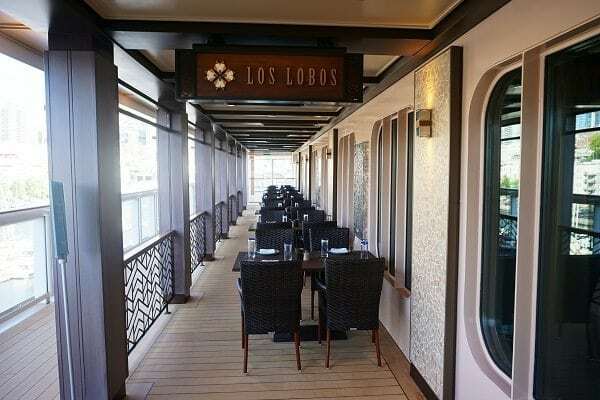 Another new addition to the Norwegian Cruise Line line-up is the upscale Mexican restaurant, Los Lobos, that first appeared on Norwegian Dawn after the ship’s refurbishment in 2016. 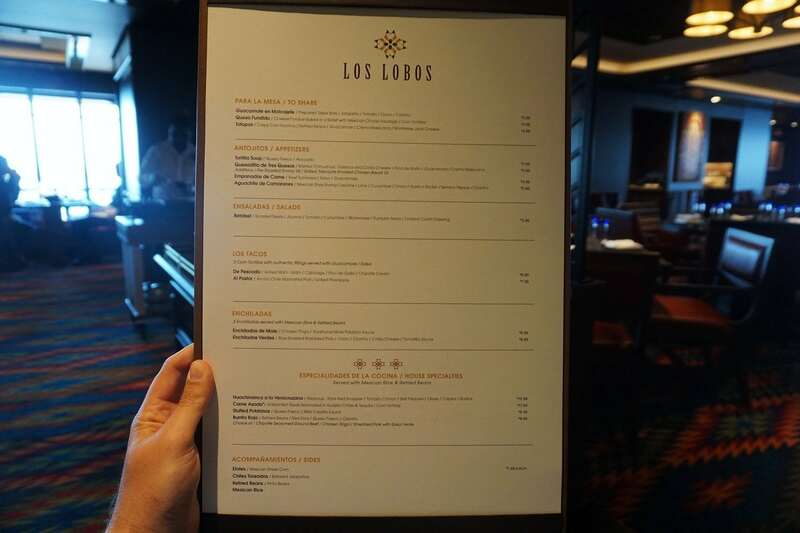 The menu highlights classic Mexican dishes with a modern twist, such as guacamole prepared table-side, Grilled Mahi-Mahi Tacos, and Mesquite Smoked Chicken Quesadillas. 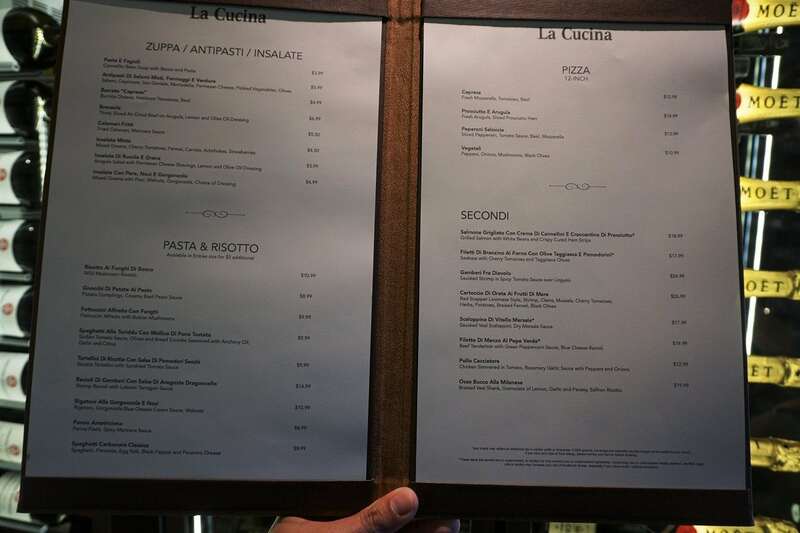 The specialty dining plan is accepted at the restaurant or you can pay a la carte. Couple the exquisite menu with handcrafted cocktails, and you have one festive night out whether you choose to dine indoors or al fresco. Fresh seafood from both the Atlantic and the Pacific come together for one epic evening at Ocean Blue on the Waterfront. 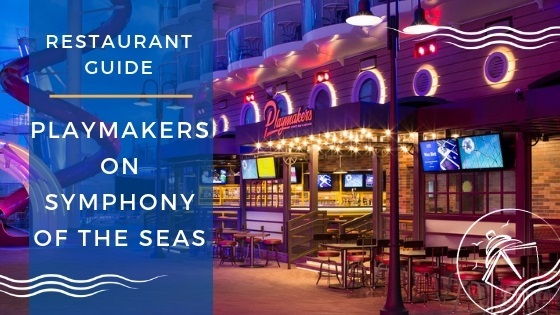 With selections of cold and hot appetizers like baked clams casino and Pacific clam chowder, to entrees such as swordfish steak and pan-seared scallops, there are plenty of options to tempt your taste buds. Dine with or without the Specialty Dining package in style and class with an elegant nautical design as your backdrop. Note, if you choose to use the dining plan, there is a $10 surcharge on top of using the meal credit. The line’s signature Italian restaurant offers several courses that are inspired from the various regions of Italy. Diners on Norwegian Bliss can start with classics like fried calamari or an antipasti plate. Continue with a pasta course, followed by a featured entree like DB’s preferred Osso Bucco, and finish the meal off right with a piece of tiramisu. It’s a good thing that the Specialty Dining Package is accepted as you will want to sample selections from every course. For a more romantic evening, you should consider dining on the Waterfront. 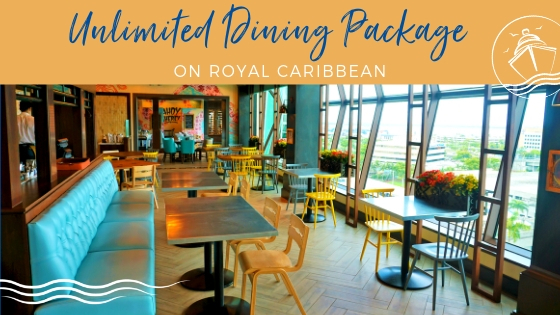 One of our favorite restaurants on Norwegian Cruise Line, Food Republic is a fusion restaurant that combines different culinary traditions and cooking styles. The bright, funky design offers patrons ocean views while dining at the restaurant. Food Republic is not covered in the dining package. 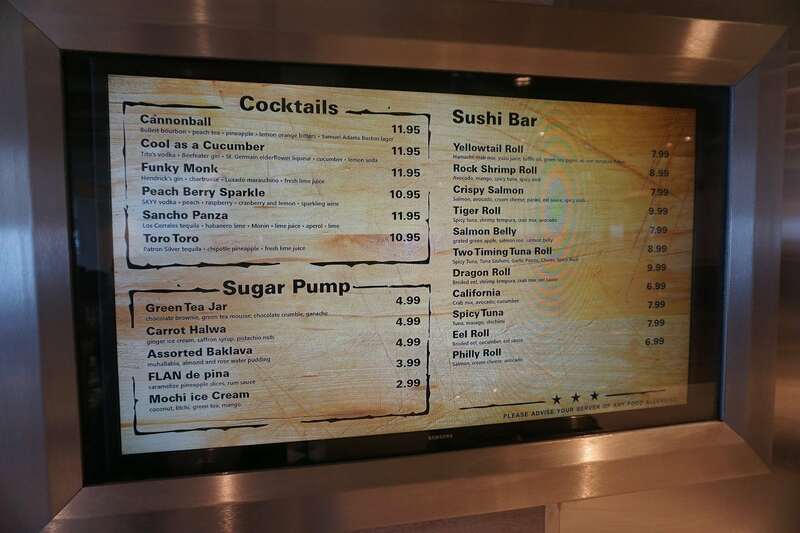 With items ranging from sushi and handheld bites like the firecracker shrimp, to shareable plates, a grill, and noodles and rice, it easy to rack up quite a bill. Oh, you will need to save room for the green tea jar too, one of the sweetest treats on the ship. 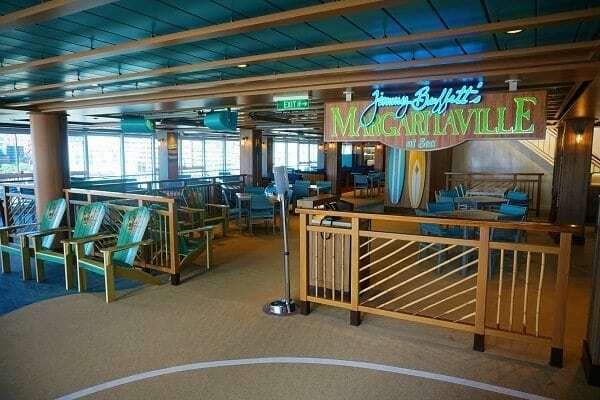 The cruise ship’s casual buffet is open for breakfast, lunch, and dinner and offers a variety of food options. International selections include American, Indian, Asian, and Central American cuisines. Norwegian Bliss also features a seafood buffet one evening that has everyone on social media a buzz. We missed the display on our sailing, but we will be sure to check it out when we cruise again on the ship in August. The menu options rotate regularly, so tracking an official menu is almost impossible. 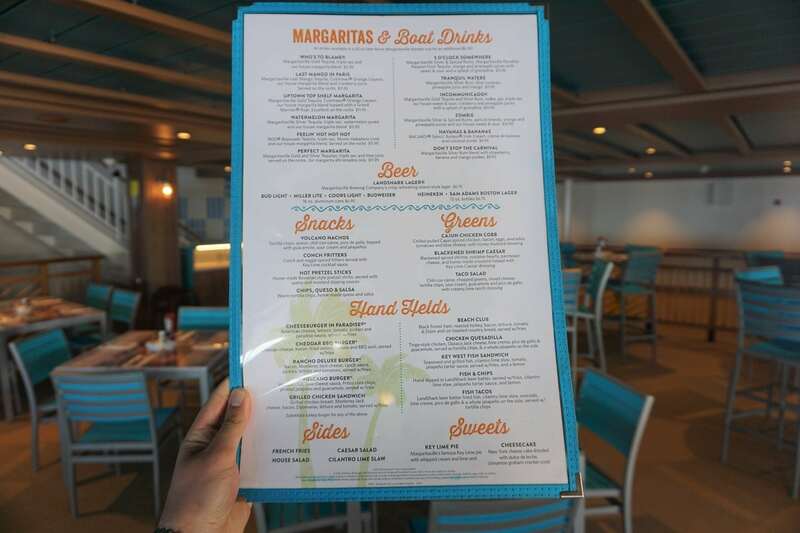 Parrotheads have another new home onboard Norwegian Bliss, the fifth Margaritaville at Sea serves up the brand’s iconic beverages and food. Pick from the Volcano Nachos or a Cheeseburger in Paradise, then wash these down with some signature margaritas like the Who’s to Blame Margarita or the Uptown Top Shelf Margarita. The restaurant is open during lunchtime hours and has a flat fee charge of $14.95, plus 20% gratuity. 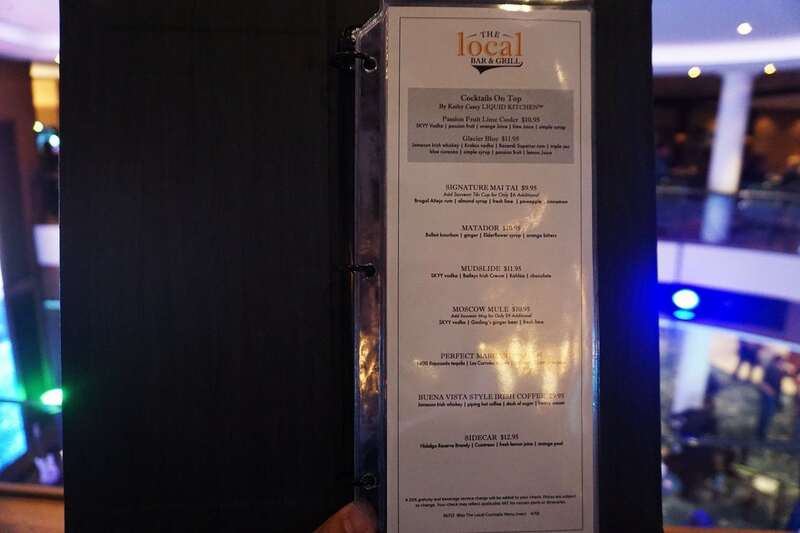 While you can use the Specialty Dining Package at the venue, the cost-benefit analysis suggests you are better off paying the flat fee. 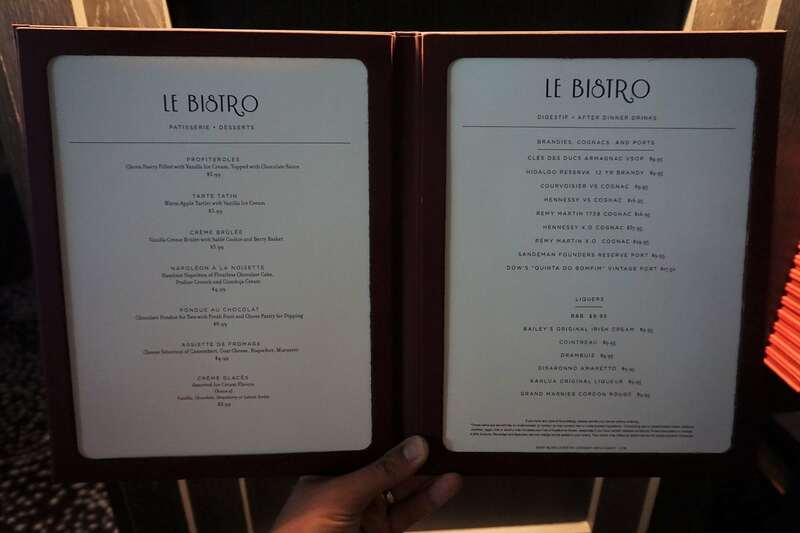 French cuisine with some of the best views of the ocean are available at Le Bistro. The restaurant received a new home on Norwegian Bliss, being lifted up 11 decks from its home on other Breakaway and Breakaway-plus class ships. This new home provides a more open, yet intimate space for cruisers looking to celebrate a special evening. 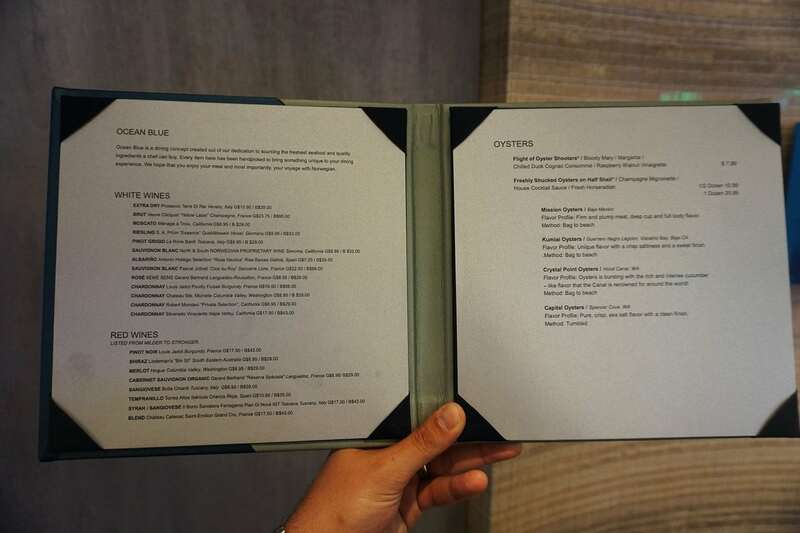 The menu has been updated but still includes some of the restaurant’s favorites like the Coq Au Vin. Whatever you choose for dinner, make sure to save room for the profiteroles for dessert. The Specialty Dining Package is accepted and is a great value as dinner can be quite pricey at this a la carte restaurant. 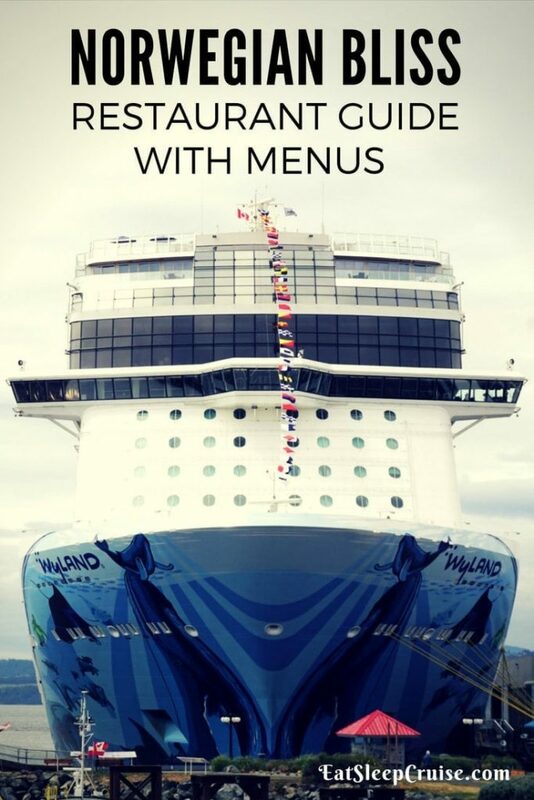 What is your favorite restaurant on Norwegian Cruise Line? 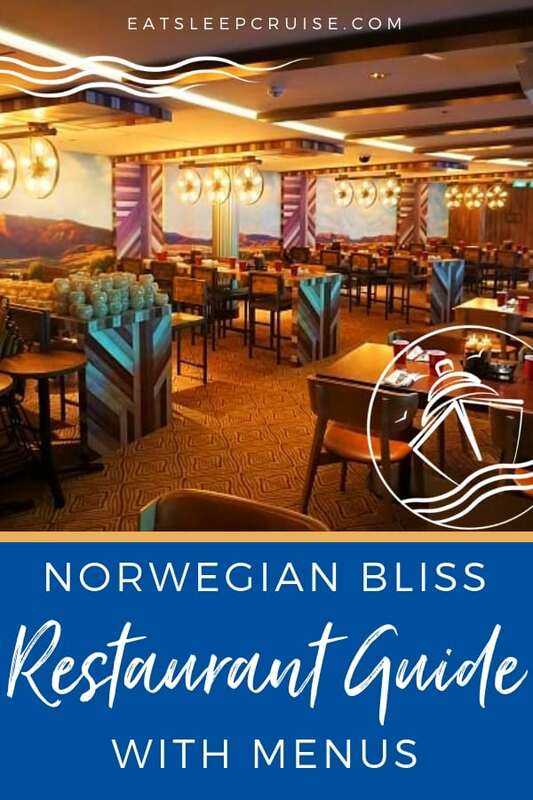 Which restaurants are your top picks for dining on Norwegian Bliss? 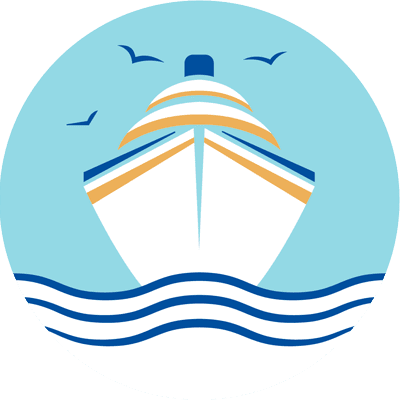 Drop us an anchor below to share your restaurant reviews from this new ship. Have a great cruise Bo. That sounds like a great cruise. Feel free to let us know if you have any questions. Thanks again for the comment, and happy cruising. What day was the seafood buffet? Hi George, great question. We were on a three-day special cruise, so the timing will be different. From what we have read online, the Seafood Buffet tends to be earlier in the cruise. We will be sailing later this summer and can report back after that trip. Happy cruising and thanks for the question. Where can we find menus for the 3 main dining rooms? During our cruise the menus at the main dining room where all the special menus because it was an inaugural cruise. 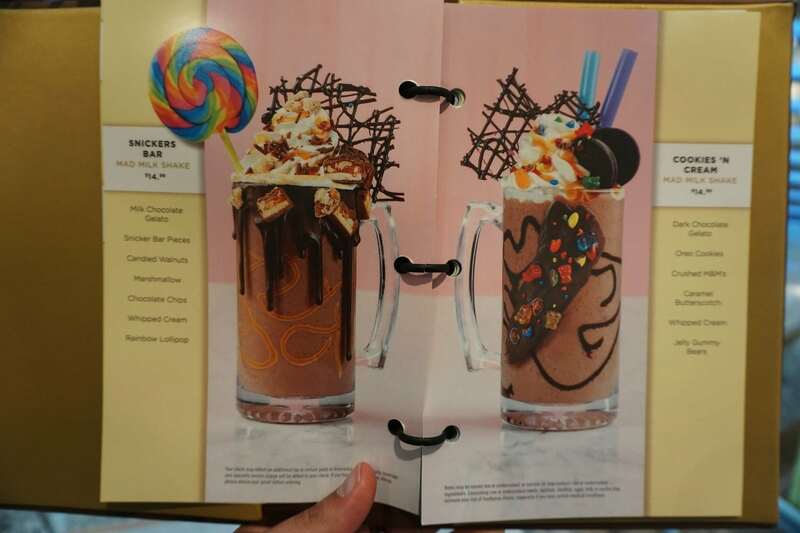 We will be back on Bliss in August and will grab copies of the true menus at that time. Thanks for the question. Great question. 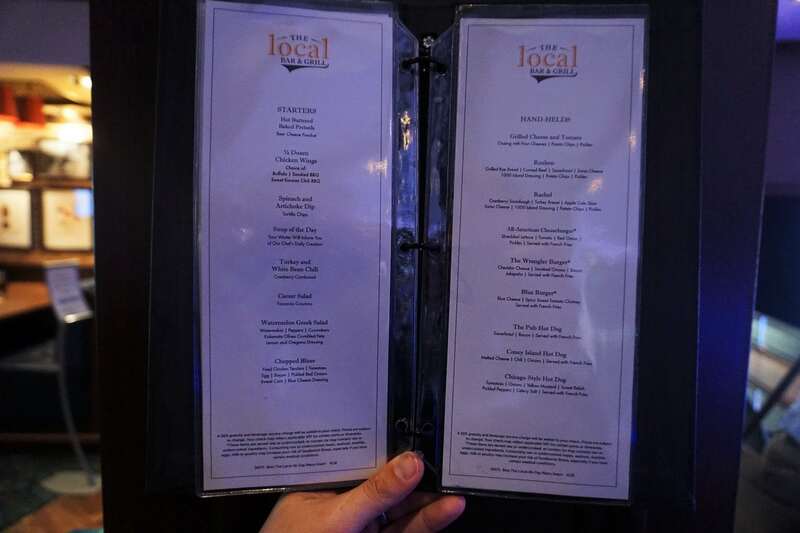 Yes, we have a complete list of all the bar menus that was just posted. You can find it here. Let us know if you have any other questions. Happy cruising. My family is traveling the Bliss August 4 in the Haven. Is that the week you are going? Hi Marie, we are sailing on the August 25th voyage. We would love to hear your feedback on the Haven on Bliss. We have yet to stay in one of those rooms on NCL ships. Have a great cruise. Any suggestions for hotels/motels convenient to Fort Lauderdale airport and the port? Hi Joe, Great question. 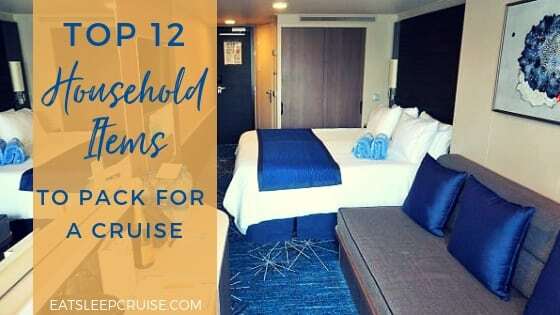 We have this guide to our recommendations for hotels near the Fort Lauderdale Cruise Port https://eatsleepcruise.com/2017/01/best-hotels-near-fort-lauderdale-cruise-port/. If you have any specific questions, just let us know. Happy sailing. Hi Stephen, how was your trip? We would love to hear about your cruise. 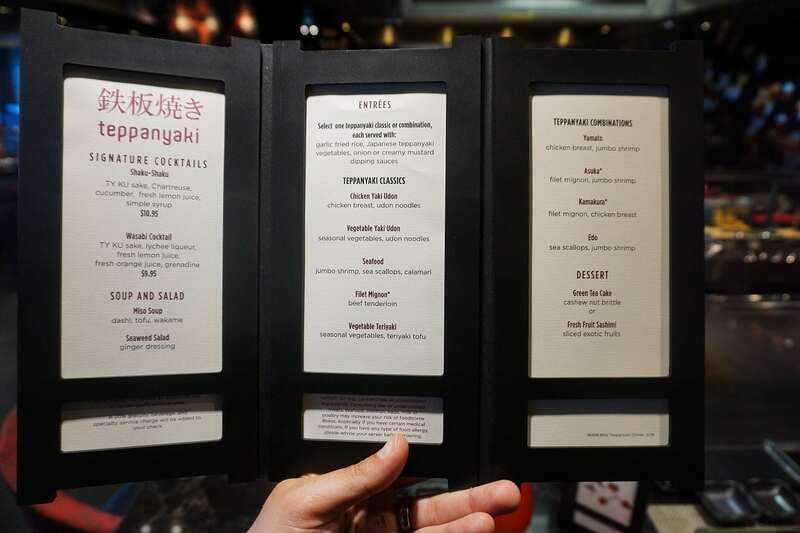 Question…the specialty dining package FAQ states that certain restaurants are an additional upcharge…however it doesn’t really call out specifics…my main question…it says Sushi is an extra $7, does that mean food republic is an extra $7? or only if you order sushi? This is the first trip we are taking with the dining package so just curious…Thanks! Hi Kristine, great questions. 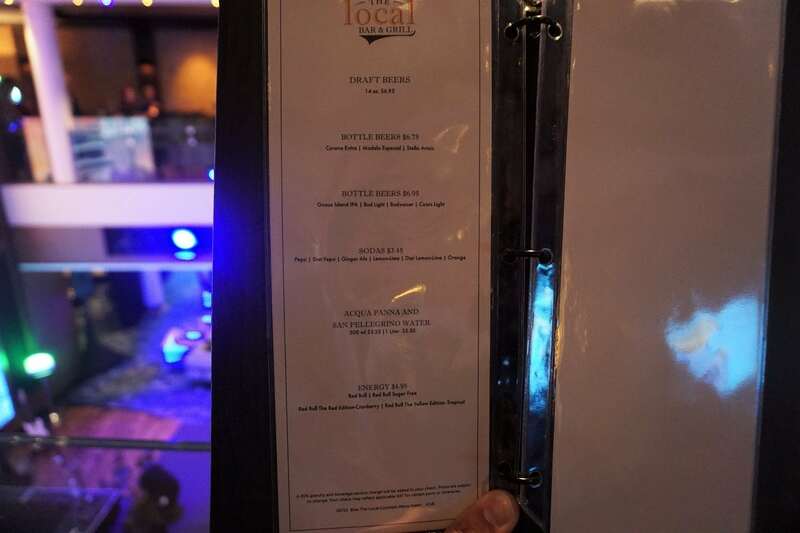 Unfortunately, the Food Republic is not covered on the specialty dining package on Norwegian Bliss. It doesn’t matter what you order at that restaurant, you will have to pay a la carte. All of the other restaurants are covered. If you use the dining package at Ocean Blue, there is a $10 per person surcharge. The package also doesn’t work at Coco’s or the other ice cream shop. Let us know if you have other questions. Happy Cruising. 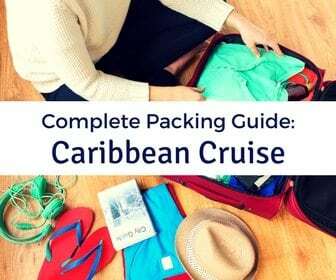 Hi Guys, love your blog and your occasional reports on Cruise Radio. Really well done! We are sailing on the Bliss over the Christmas Holiday. Would you happen to know which night of the seven is the Seafood Buffet in the Garden Cafe? Thanks in advance. Hi Scott, thanks for the kid words! On our cruise Day 2 was the seafood buffet. 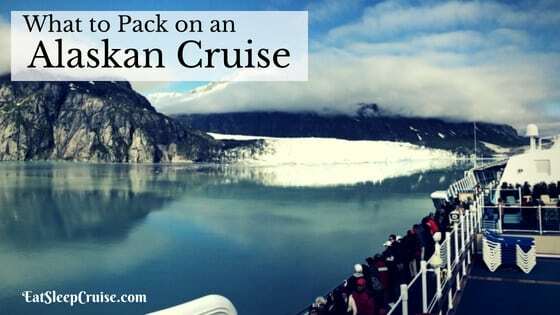 It will be interesting to see if it is the same on your cruise. Let us know when you return. Have a great trip. 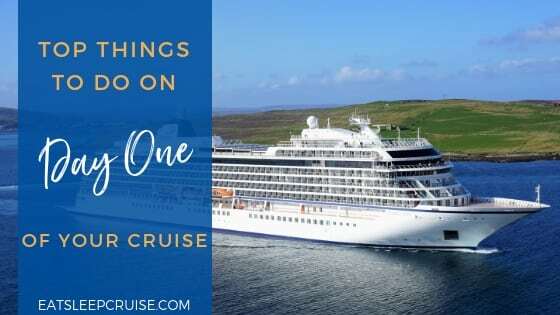 Hubby and I are on the October 12th sailing of Bliss, and can’t wait to read your reviews from your August sailing! 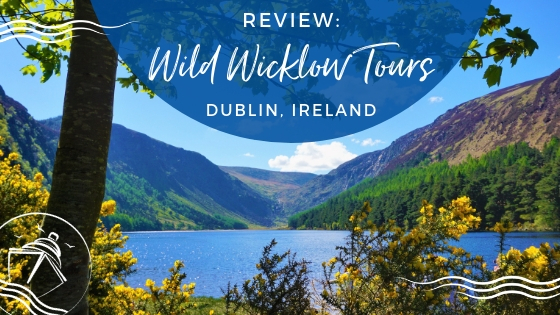 Hi Shannon, our review is finally live! You can check it out here. 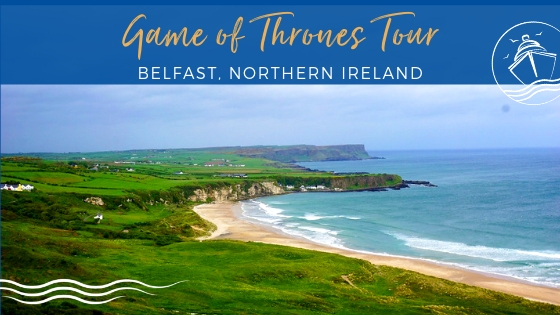 Let us know if you have any questions ahead of your trip next week. Sailing on Bliss in October would like to know if any restaurants have lobster tails on the menu? Hi Julie, NCL has done away with lobster tails. None of the restaurants serve them. Have a great cruise. 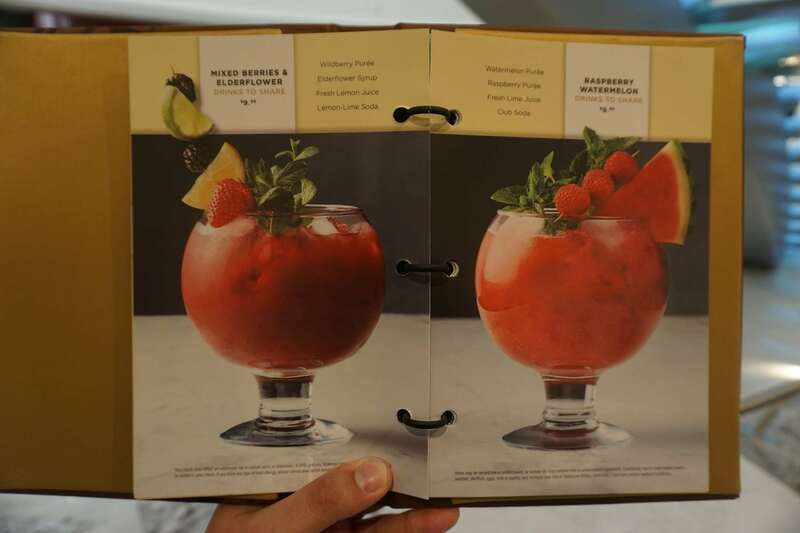 Hi Patty, yes, drinks in the complimentary dining and specialty dining are covered with the Ultimate Beverage Package. 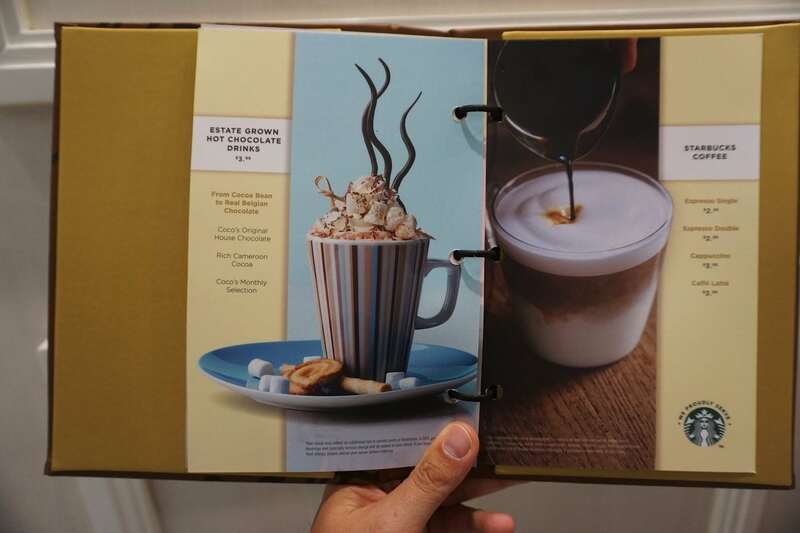 These include only the individual drinks that are part of the plan. No bottles of wine or liquor are covered, and you can only order one beverage at a time. Your cruise sounds like it will be a blast. Let us know if you have any other questions. Happy Cruising. Hi Scarlett, thanks for the comment. During the Alaskan cruise season there was a themed night in the Garden Cafe for each day of the cruise. Day 2 was the seafood buffet. We hope they keep it going when the ship transitions to the Caribbean. Have a great cruise. We agree with you Joe. Great suggestion. Thanks for the comment. yes is the good news,the bad news it is accepted at all and any bar or restaurant. 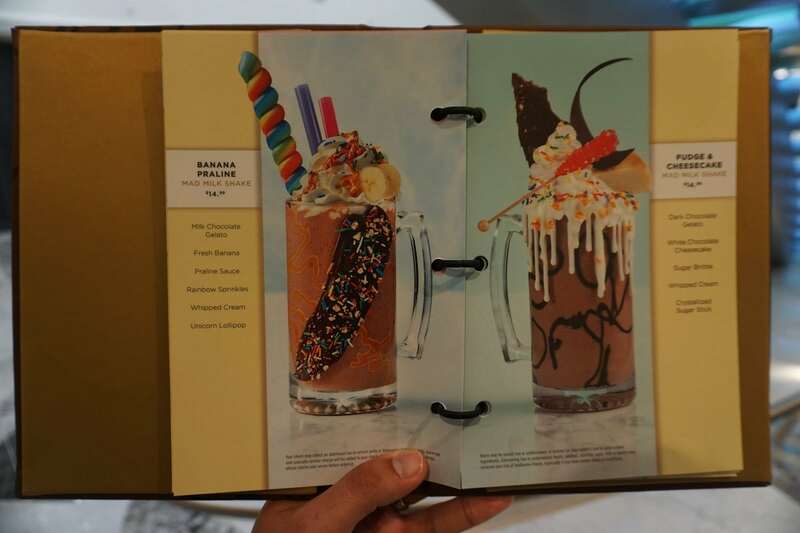 Will I have a chance to look at the main dining room menus before I make my decision on that or specialty dining for the day? I would love to check it out before I even go on the trip. Hi Amber, great question. 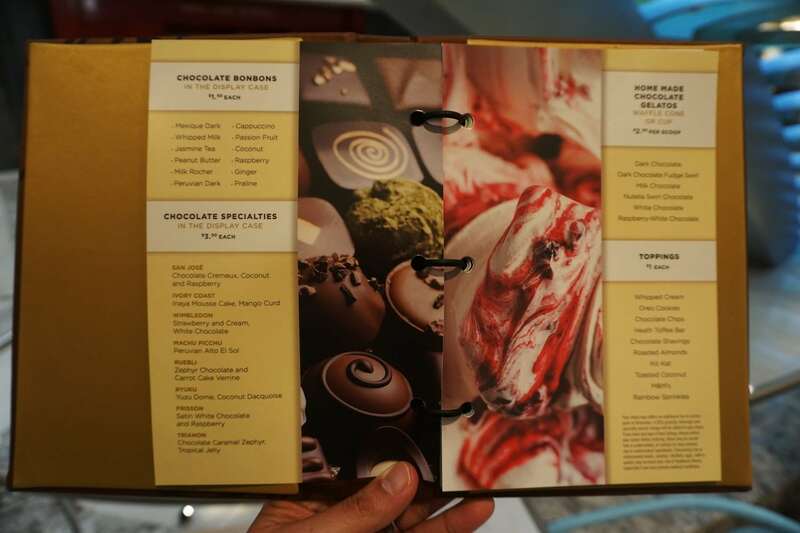 We are updating this guide to have the main dining room menus. We will let you know when they are updated. 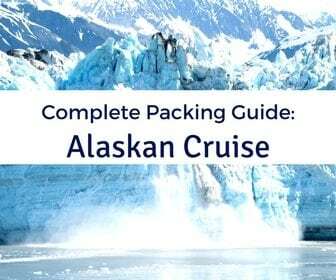 First time cruise, so sorry if these are stupid questions. We did get 3 meals on the specialty dining plan. For those specialty restaurants that you use a credit on, is it all you can eat from the menu at that point? or is it an appetizer, entree, dessert sort of thing? 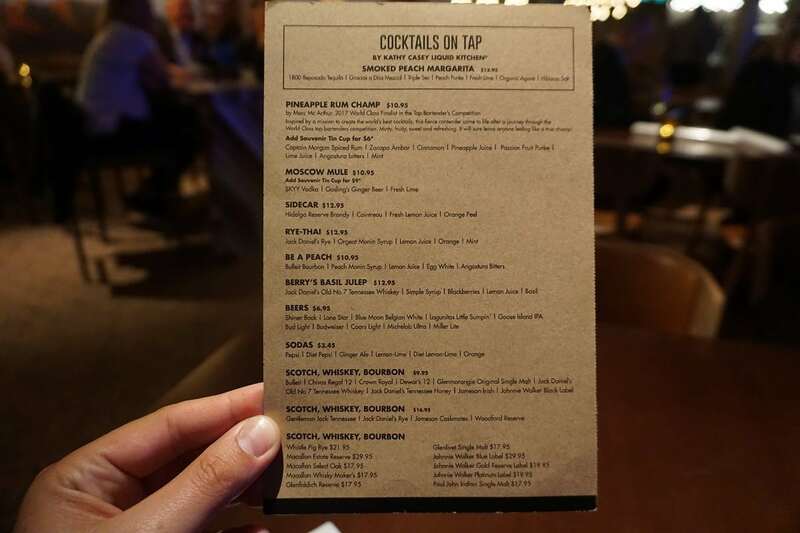 Also all of these restaurants had drink menus. Aside from starbucks, which you stated, if you got the adult drink package, would those drinks be covered at the restaurant? Hi Tommy, great questions. For most restaurants, you can get unlimited starters and desserts. 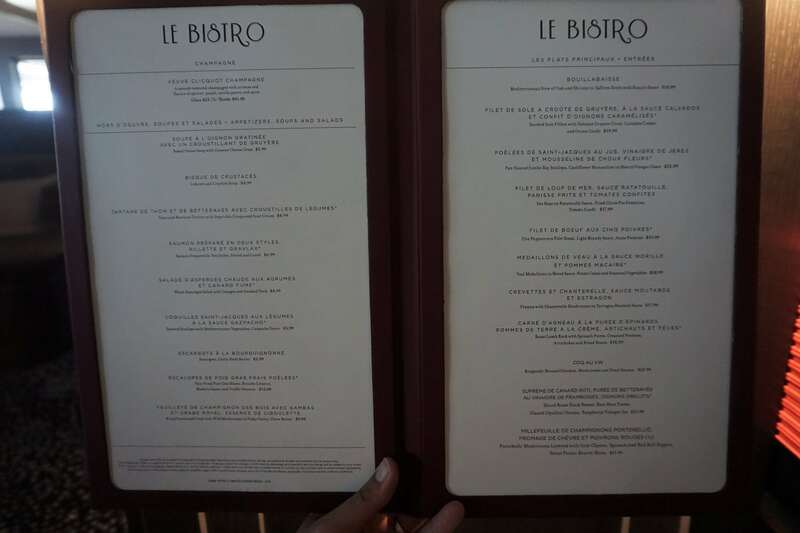 You get one entree at Le Bistro and Cagneys, and Ocean Blue (which is an upcharge of $10 on top of using a credit). 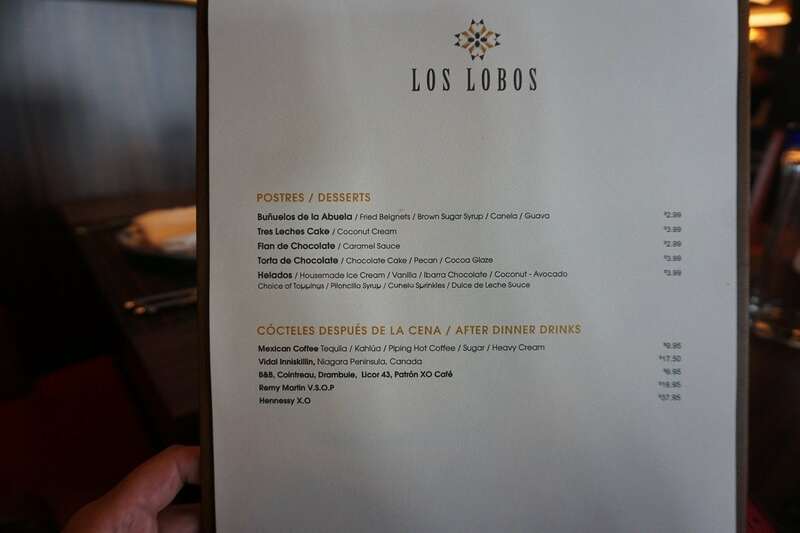 At Los Lobos and La Cucina, you can order more than one entree, and you can order as much as you want at Margaritaville. Teppanyaki is a set dinner. The plan is not accepted at Food Republic. The specialty dining package does not include drinks. 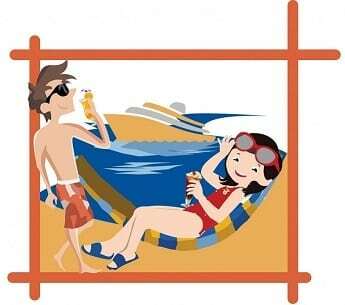 You will need to either pay for the drinks, or they will be covered if you have the Ultimate Beverage Package. We have a complete guide to the Specialty Dining Package which provides more details. Let us know if you have other questions. 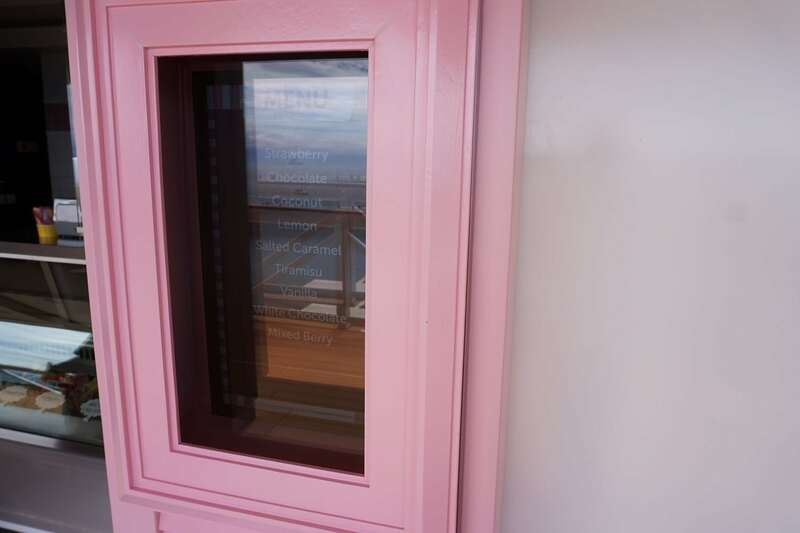 What restaurants are covered with the specialty dining package on the Bliss. Thank you and Happy New Year. Hi Eleanor, thanks for reading and the question. 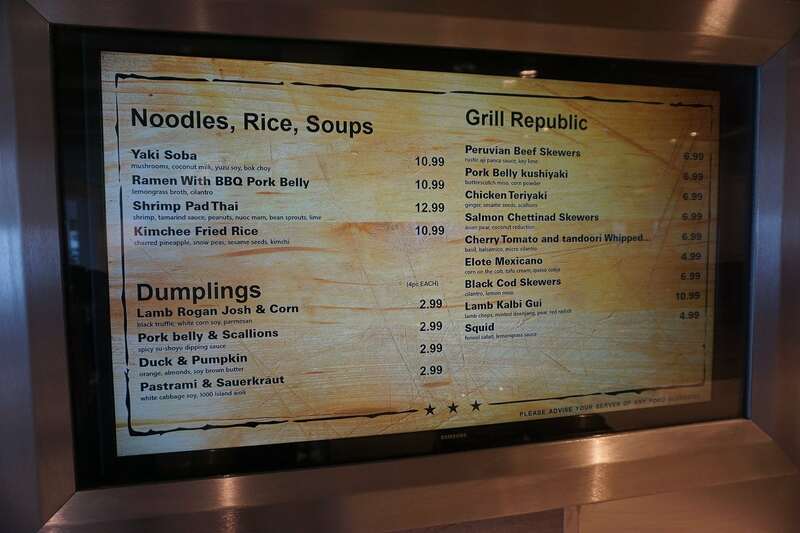 All of the specialty restaurants are included in the package, except the Food Republic. Also, there is an additional $10 upcharge if you use the package at Ocean Blue. 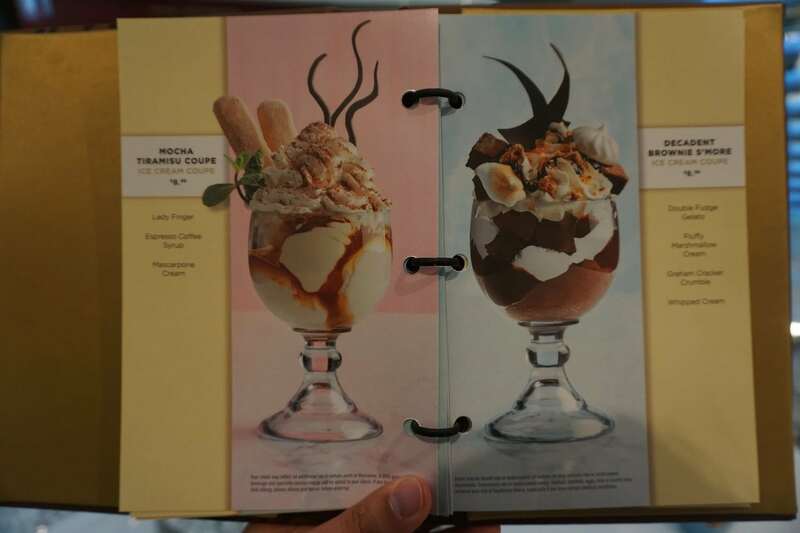 We have a complete guide to the specialty dining package on Norwegian Bliss that should hopefully answer all your other questions. Happy Cruising! We will be sailing on the Bliss in April on my retirement cruise! Hi Norm, thanks for the comment. Congrats on your retirement. 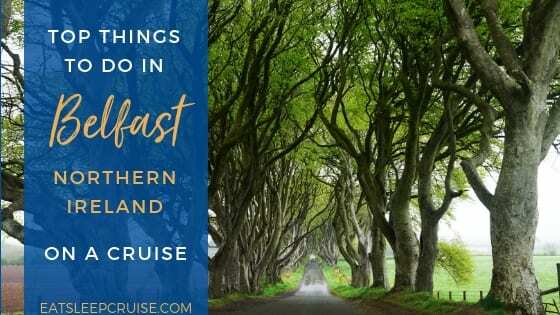 A cruise on NCL Bliss is a great way to celebrate this achievement. Happy Cruising. How does the speciality dining package work? What am I entitled to for these speciality dining places? Great question! We have a complete guide that covers all the details of the Specialty Dining Package. Basically, the plan allows you to eat at the covered restaurants for one set price. You can order as many starters and desserts you want, and usually one entree. If you want additional entrees, they cost more. 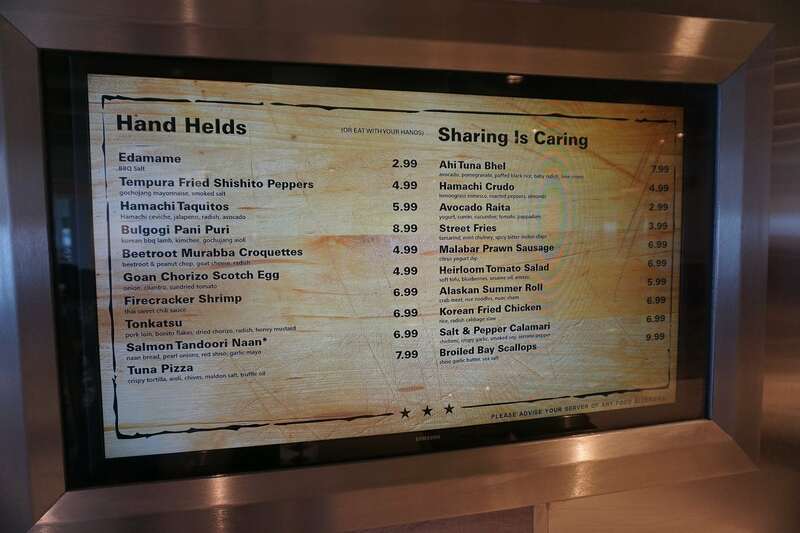 On NCL Bliss, all specialty restaurants are included, except for the Food Republic. Let us know if you have any other questions. Happy Cruising! We are sailing September 1st on the Bliss. My son and daughter-in-law are vegetarians. Can NCL accommodate vegetarians and at which restaurants? With Specialty dinning. How do we know the amount we can order? 1 appetizer each, salad, one entree & dessert? 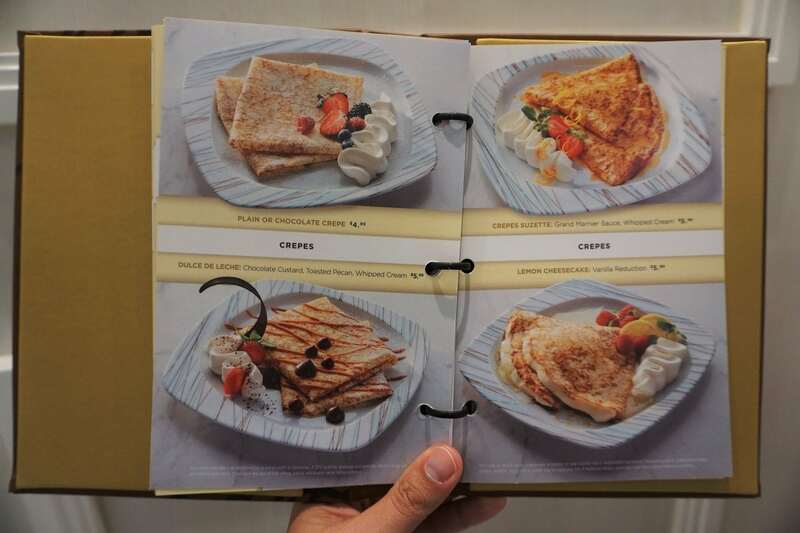 I have heard different things and would like to know if my family would like to try different appetizers or desserts. If you have the dinning package – and the restaurant is a la carte – will you have to pay an additional fee? Or how does it work? Can you eat at Carney’s 2x with the dining package?